Rare first floor updated unit with hardwood floors, skylights, two covered decks/porch ,clean white kitchen. 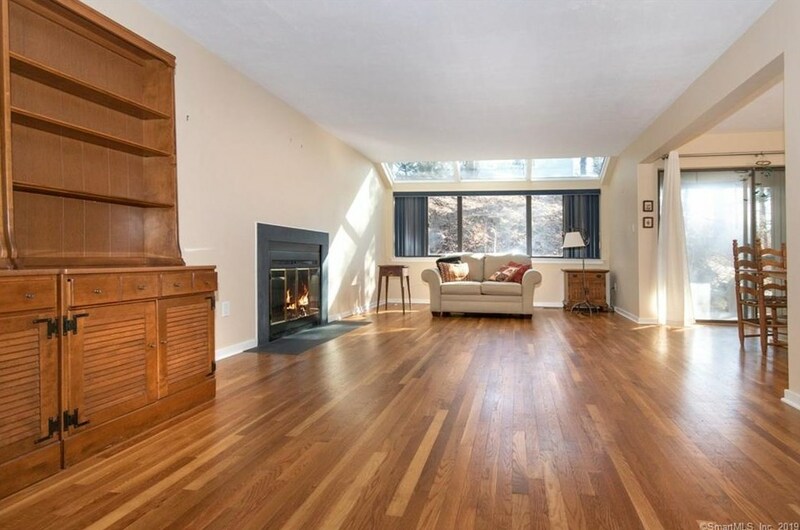 Oversized living room has fireplace. Nice size dining room for entertaining. Natural setting in rear porch area off dining room. Oversized shower in bathroom. Large walk-in closet in Master plus covered porch to take in the comings and goings in the complex. Walk to Trader Joes, CVS, Winslow Park, Westport Playhouse, Library, Senior center and downtown Westport. One occupant must be 62+. 15 Whitney Glen #15, Westport, CT 06880 (MLS# 170164044) is a Single Family property with 1 bedroom and 1 full bathroom. 15 Whitney Glen #15 is currently listed for $369,000 and was received on March 25, 2019. Want to learn more about 15 Whitney Glen #15? Do you have questions about finding other Single Family real estate for sale in Westport? You can browse all Westport real estate or contact a Coldwell Banker agent to request more information.